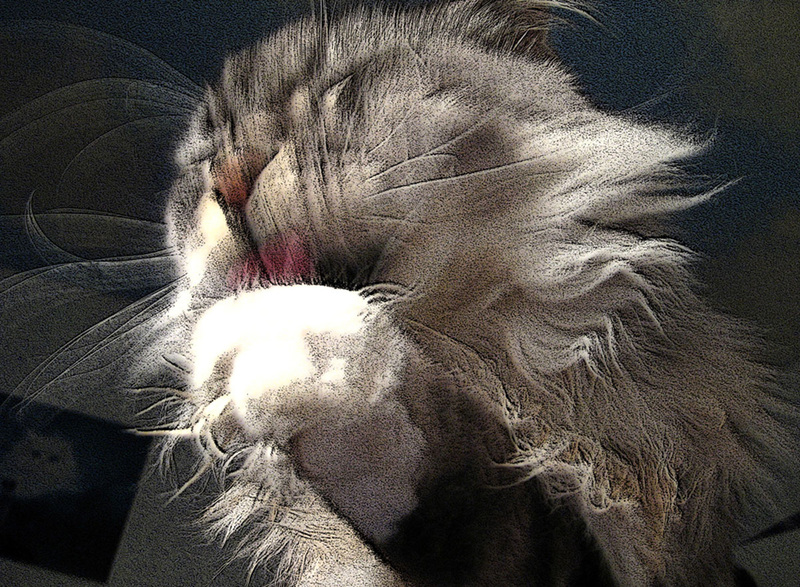 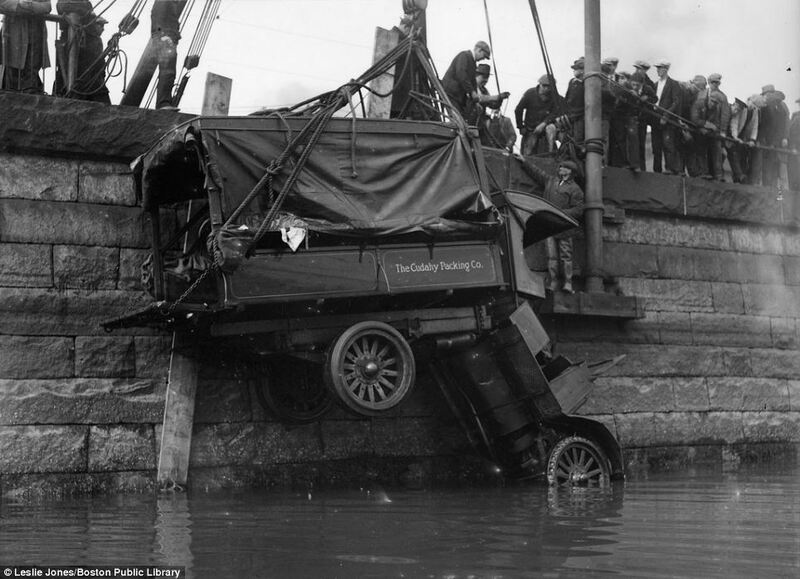 Wrapped around a tree, nose down in a ditch and dangling precariously over water. 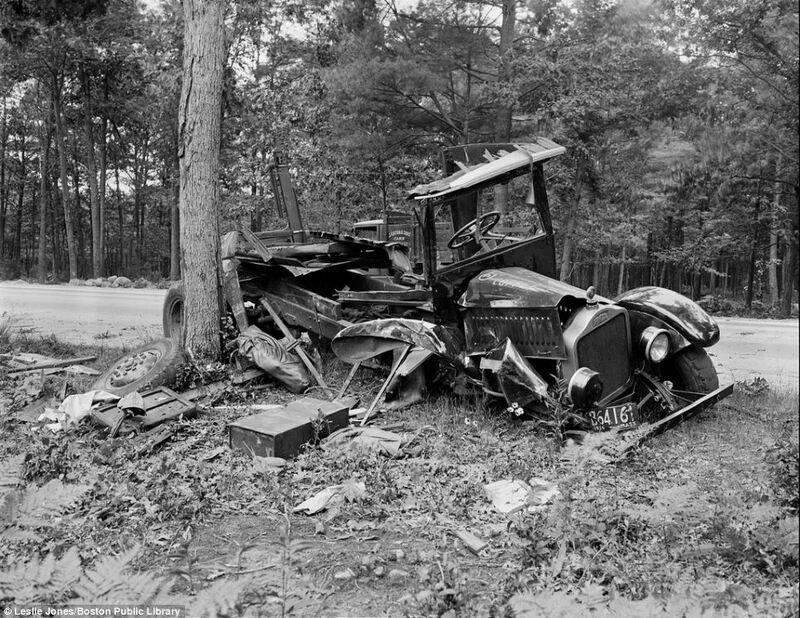 Fascinating photos from the 1920s and 30s show the dramatic and tragic side effect of the golden age of American motoring. 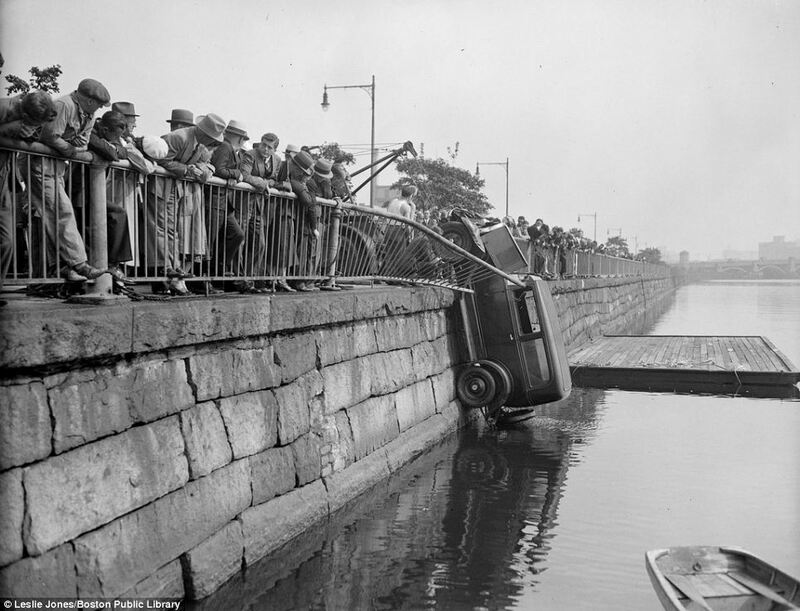 The pictures were taken in and around Boston, Massachusetts by Leslie Jones, who was staff photographer at the Boston-Herald Traveler newspaper from 1917 to 1956. 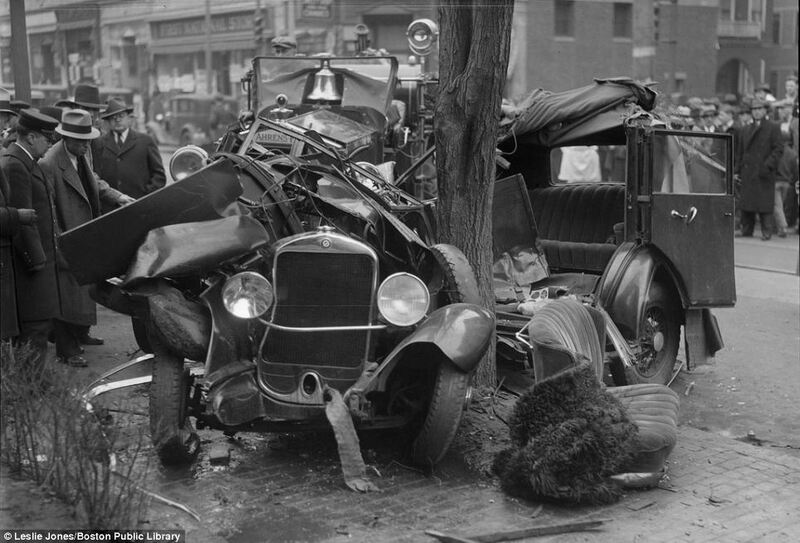 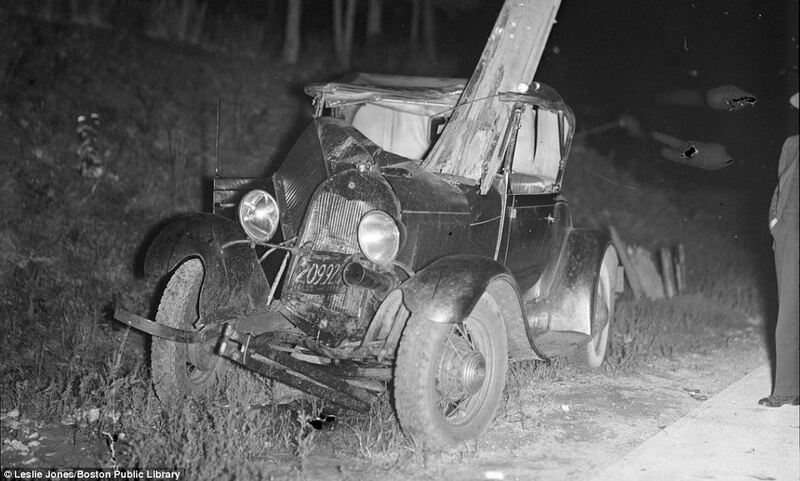 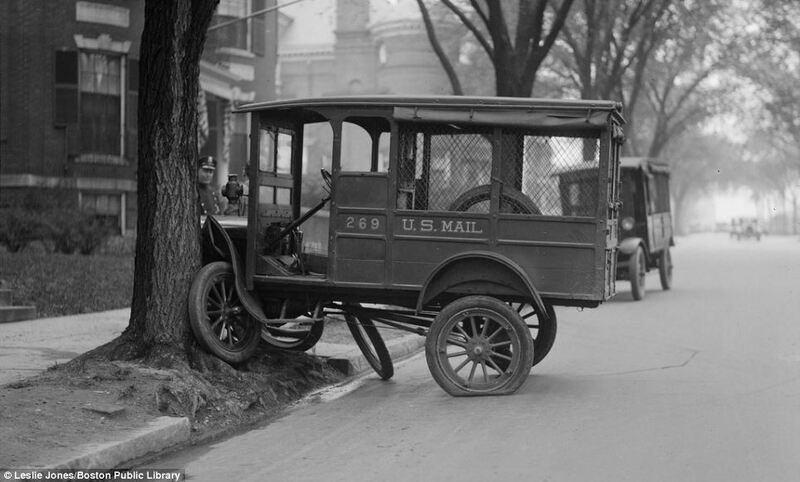 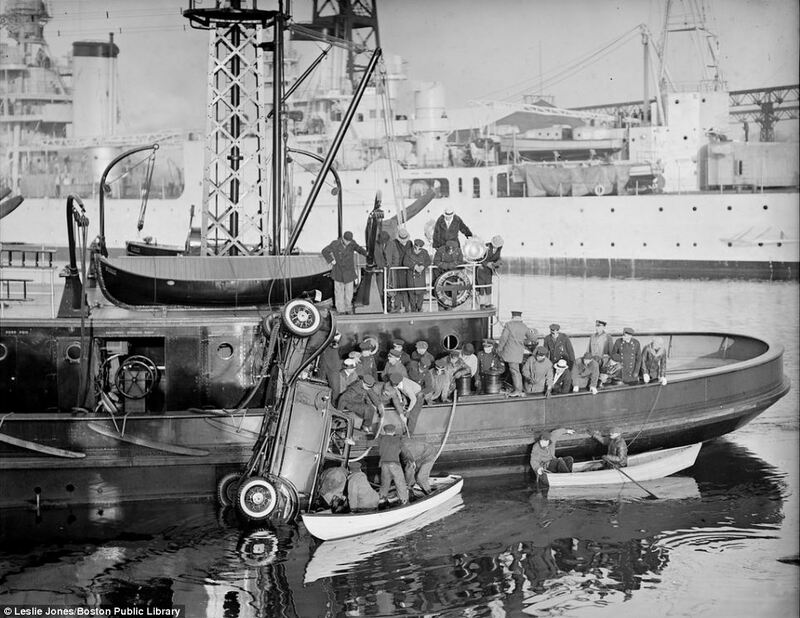 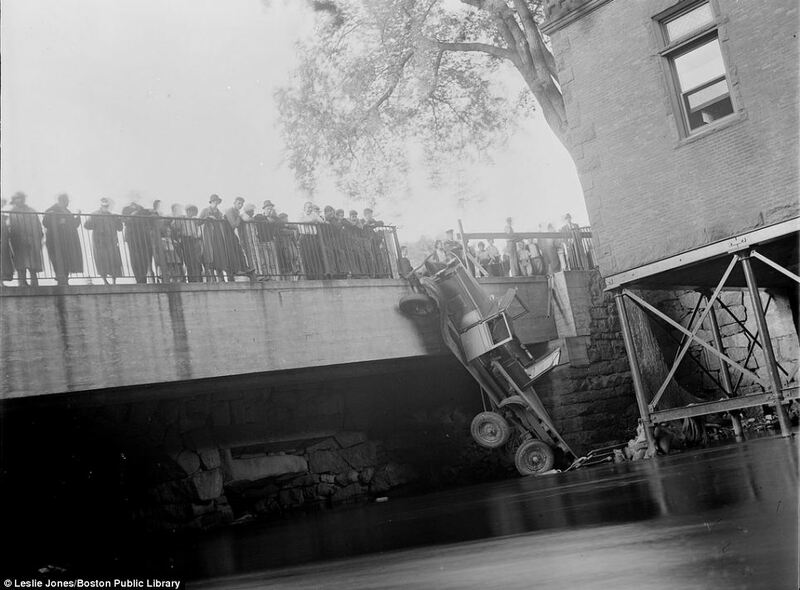 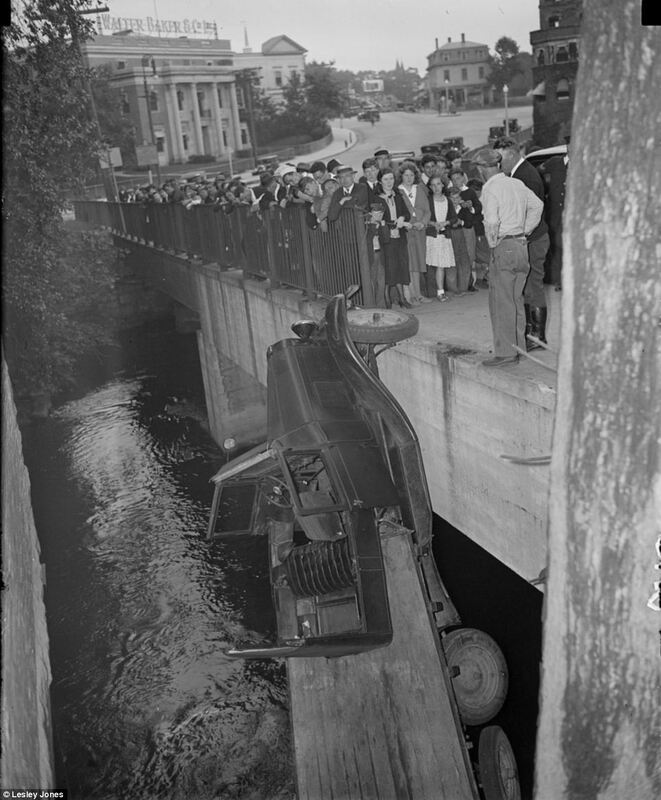 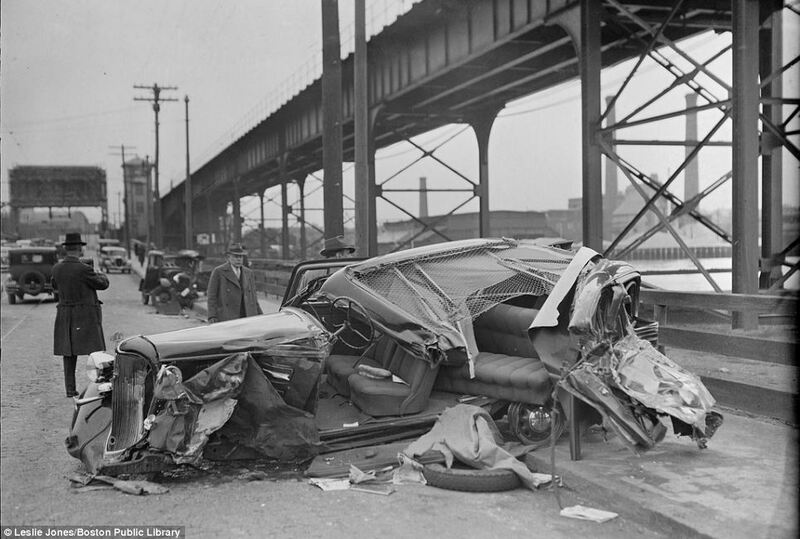 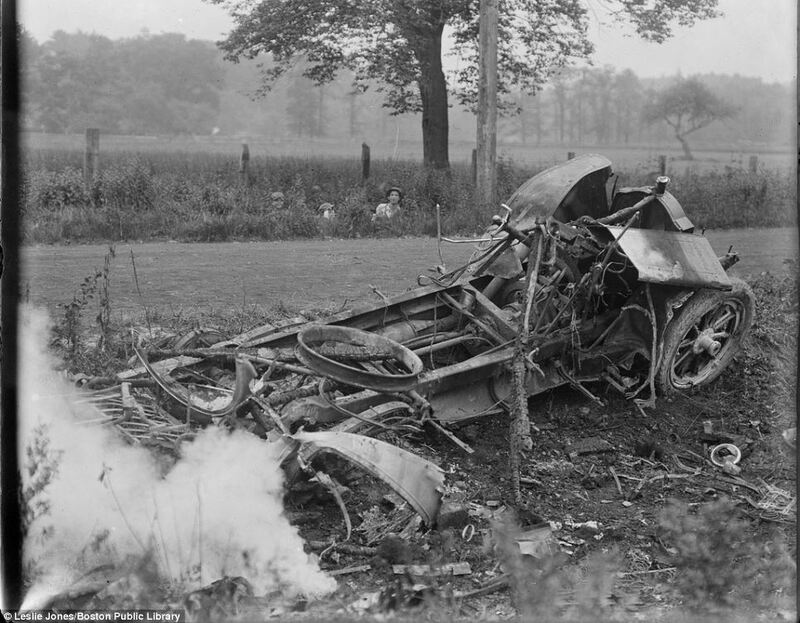 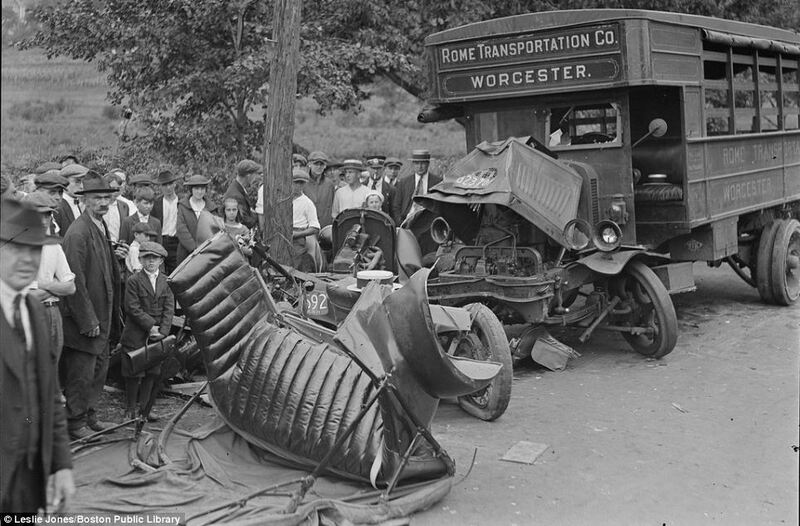 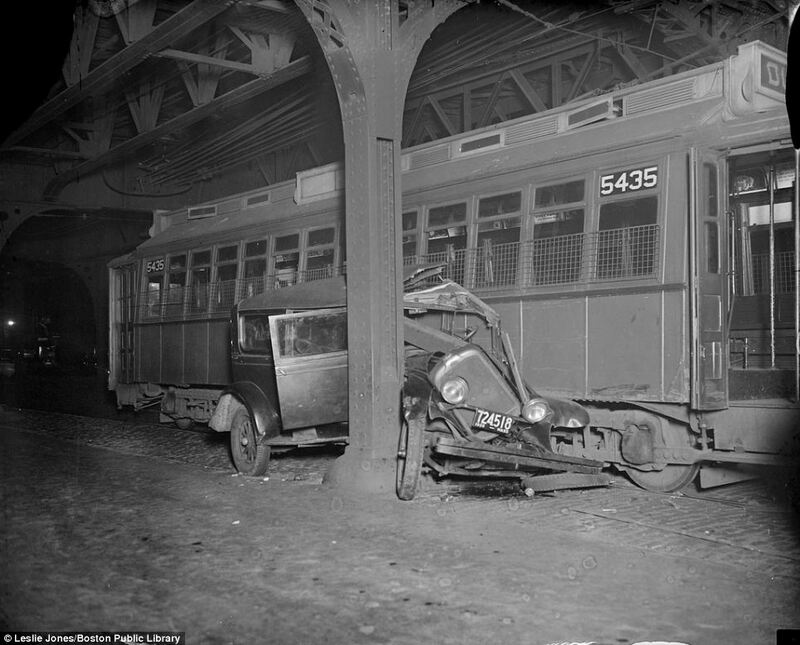 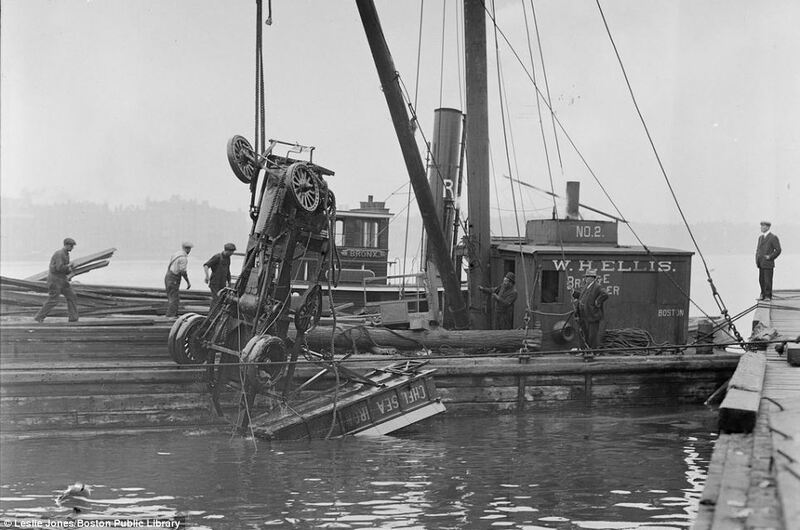 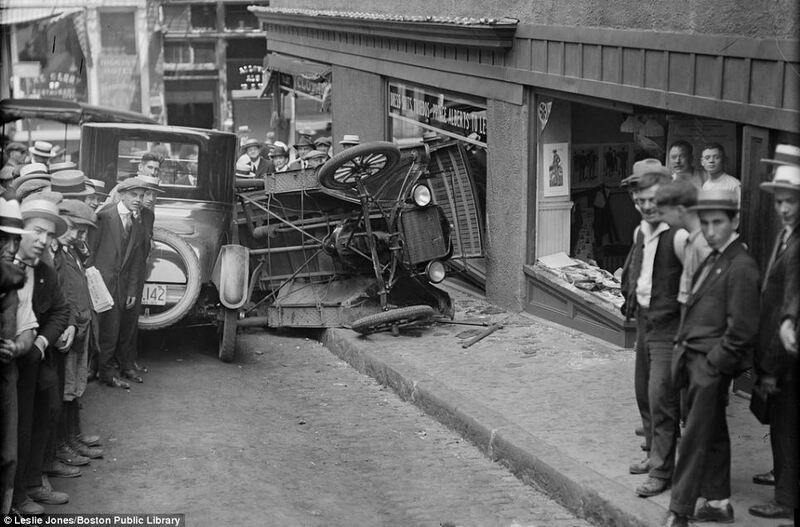 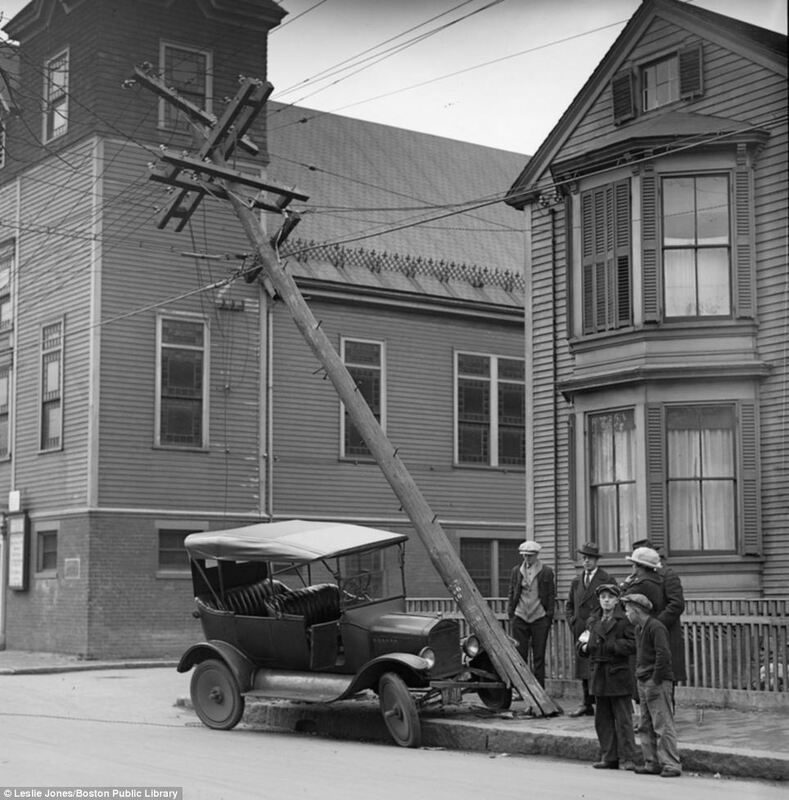 They included these fascinating photos of vintage car wrecks from the great motoring boom. 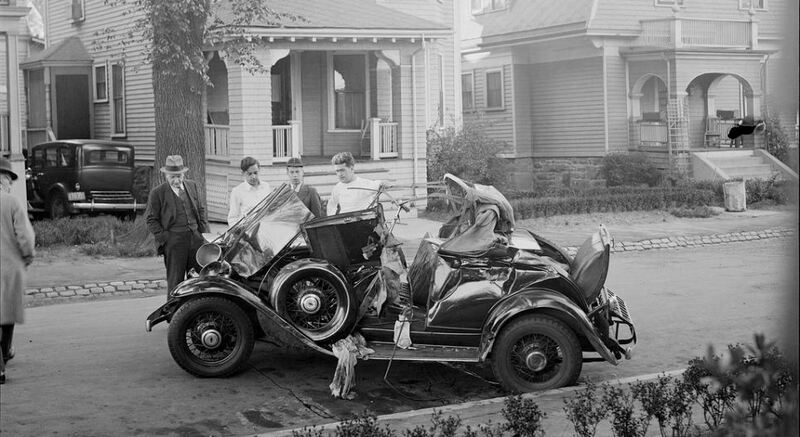 The introduction of hire purchase also made it much easier for members of the public to buy cars, and by 1929, 20 per cent of Americans were on the road. 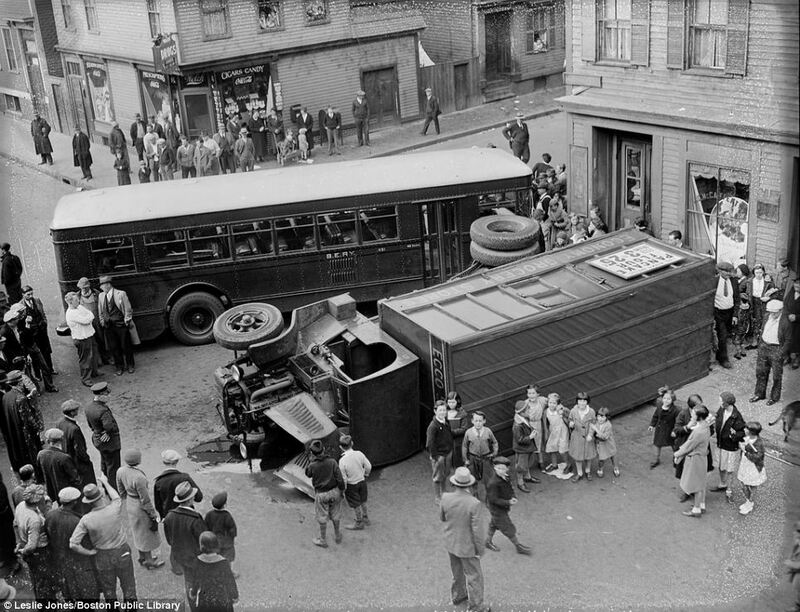 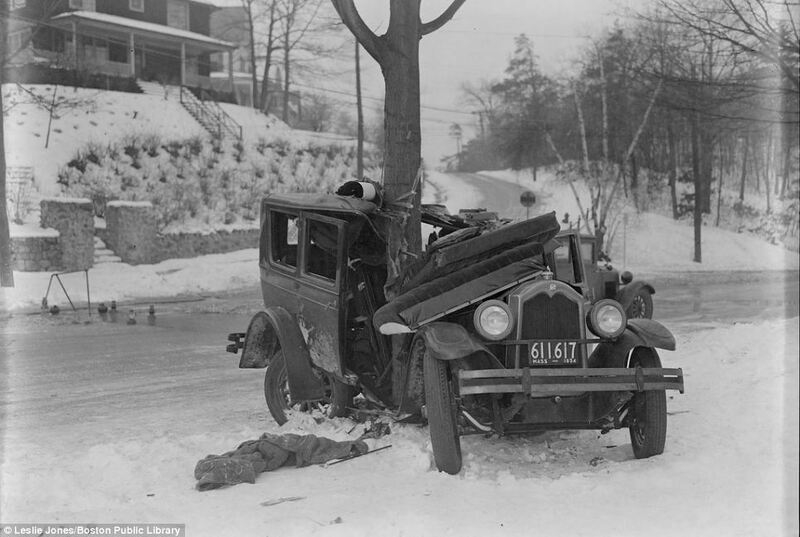 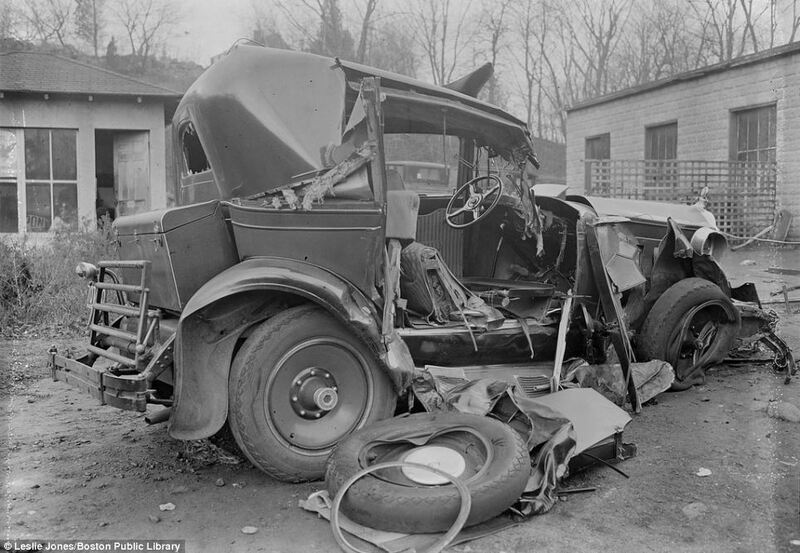 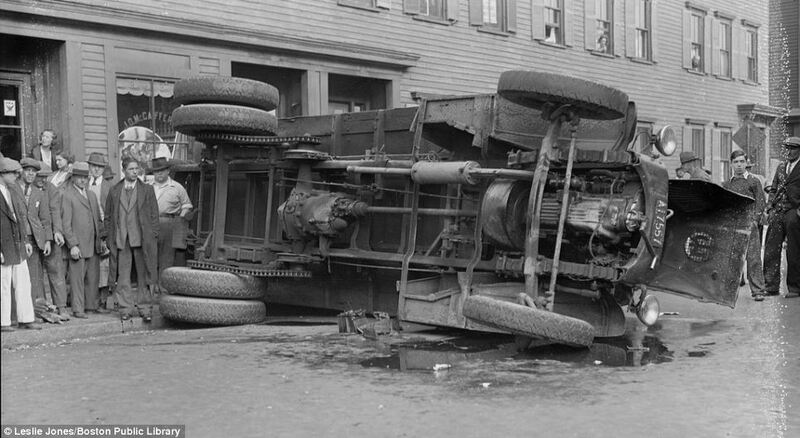 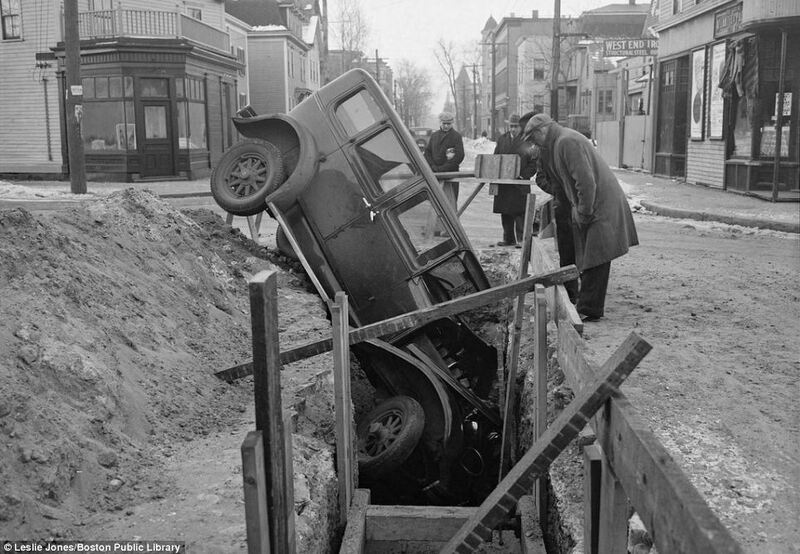 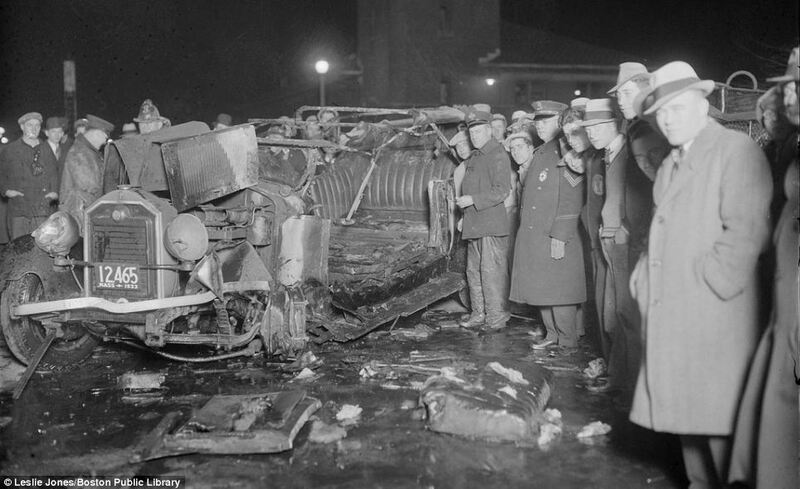 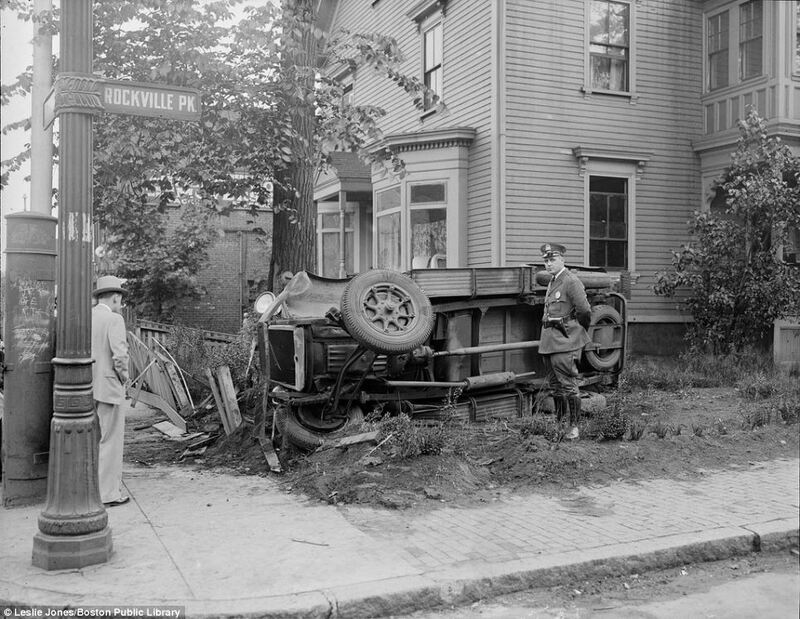 A police officer poses next to a car that flipped over manoevring around corner in Roxbury, Massachusetts in 1935.